LATEST UPDATE: We've now received reports that Terrarium TV developer NitroXenon (AKA Peter Chan) may be working with agency officials that caused the Terrarium TV shut down in a plea bargaining deal. It's entirely possible that collected information about Terrarium TV users may be leaked or handed over as part of this deal. If you've not yet protected your identity and location with IPVanish VPN, the great deal being offered to MTM readers for April 2019 makes now the perfect time to start. If unsure what a VPN is or how it protects you, learn about them right here. UPDATE SEPTEMBER 11: We are sad to see Terrarium TV closing down forever today. Terrarium TV has been loved by cord cutters and rapidly gained in popularity for over a year. It will be sorely missed. This is truly a terrible day for free movie and TV show streamers worldwide. Terrarium TV has been a growing phenomenon and mainstay of many thousands of entertainment centers for well over a year. Grab some great streaming apps to take up the slack and let you watch free streaming movies and TV shows in our list of the Top 5 Best Terrarium TV Alternatives. With the demise of Terrarium TV, we also suggest you try out some of the other great Firestick apps for streaming movies and TV shows, which we keep updated constantly with the latest and greatest. Terrarium TV is an Android application that allows you to stream free movies and TV shows onto your tablet, smartphone or Android-enabled television. Who doesn’t like the prospect of unlimited free TV and movies, right? You are far from alone in this sentiment and many are choosing to cut the cord and head on over to apps such as Terrarium TV to avoid the constant cable television price gouging. Watch free movies and TV Shows without an account or subscription. Terrarium TV is a great app to install when you jailbreak a Firestick. Please be aware that many of the movies and TV shows found online and presented for playback by Terrarium TV seem unlikely to be properly licensed. Streaming many of the titles available may be illegal in your jurisdiction. Check the laws in your area to find out if using this app poses a legal risk of losing your internet access or heavy fines. In this MTM guide, we’ll demonstrate how to install Terrarium TV on Amazon Firestick, Fire TV, and Cube devices. We’ll also attempt to show you how to eliminate buffering in Terrarium TV. Now that you are familiar with this app, follow below to learn how to install Terrarium TV on Amazon Fire Stick. We present three installation methods. You choose whichever is most convenient and intuitive for you. Before you can sideload or download Terrarium TV APK, you must first enable the option Apps from Unknown Sources on the Firestick. Otherwise, the Amazon Fire TV Stick will not allow download or installation of Terrarium TV APK. It is necessary that you take the time to make this adjustment. Once done, you’ll have access to as many of the best movies and TV shows that Terrarium TV. Here’s how to make the Amazon Fire TV, Stick, and Cube allow the download of third-party APK files such as Terrarium TV. On the top of the Fire Stick home screen, scroll to the Settings menu item. Then, scroll to and open the Device option. From within the center list select Developer options. Turn Apps from Unknown Sources to ON if it is off. A warning message will appear but fear not. We’ve tested Terrarium TV thoroughly and found it to be very safe. Click the Turn On button. We’ve had reports from some readers that they can’t find the Downloader App in the Amazon App Store. This may be a block based upon geographical location, but we have no confirmation of this yet. It is known that one of the reported incidents wasn’t using a VPN at the time to spoof their apparent location, so has limited access to parts of the internet. We’re unsure of the others. If Downloader App doesn’t show up in the Amazon App Store for you, simply move on to method #2 which uses ES File Explorer. If you’ve already allowed Apps from Unknown Sources, follow these steps to get Terrarium TV installed. The Downloader application by AFTV has been a boon to the Kodi third-party community. Its built-in web browser easily accesses download pages, so you can install whatever you like onto your Fire TV Stick. I even use the built-in web browser for quick internet searches, research projects, and info gathering. If you like, the Downloader app will start the installation process for you once the APK file download finishes. Get Downloader , available in the Amazon App Store . To download it directly onto your Firestick, use the search function found in the left end of the Fire Stick home page’s top menu. Search for Downloader, then scroll down and click on it once it shows up in the search results list down below. Then, click Download to install Downloader onto your Fire Stick. Once the Downloader app installs on the Fire TV Stick, click the Open button to launch it. 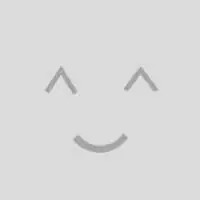 Then enter http://bit.ly/TTV1910 into the URL field and click Go. The Terrarium APK will now download onto your Fire Stick. Hit install once the download is completed to install Terrarium TV on the Firestick..
ES File Explorer is a great file explorer for the Android operating system, but it can do much more. While we prefer the Downloader app for ease of use and simple design, ES File Explorer will install Terrarium TV onto the Firestick just as well. Once you’ve allowed for apps from unknown sources to be installed on your Firestick, proceed with the install instructions below. Go to the Search option and type ES File Explorer. Then, select the app from the search and click install. Next, open ES File Explorer app and locate Tools on the left side and click on Download Manager. Now click where it says + New on the bottom of the screen. A pop up will open up, enter the Path: http://bit.ly/TTV1910, and below that enter the Name: ttv198 and click Downlaod Now. The last Terrarium TV version was 1.9.10 released on 5/29/18. The link provided here is the newest Terrarium TV 1.9.10 version only. Please Note: If you close the download window that says Open file or the install window accidentally you may remedy this, by opening the downloaded file again. Go to the Local > Download. The ES File Explorer options are found on the left menu. Next, click Install Terrarium TV on FireStick. Now, once again click Install. Terrarium TV app is now installed on Amazon Fire Stick. This may be the easiest and quickest method of installing Terrarium TV on Firestick. Please note this method only works if you have Apps2Fire installed on your Android smartphone. First, aside from enabling Apps from Unknown Sources, make sure to also have ADB debugging turned ON. This is found in the Developer options right above the Apps from Unknown Sources item. Next, go to System/Device within Firestick Settings. Within About, navigate to Network in the center of the screen and take note of the Firestick IP address detailed on the right-hand side. for your FireStick IP Address. Make sure to note of the IP details on the right-hand side. Go to the Google Play Store and install Apps2Fire if not already installed on your android smartphone. Next, Launch the Apps2Fire app on your smartphone and go on SETUP to add the FireStick IP address which was noted in Step #2. Click on “Local Apps” menu in the Apps2Fire app, and search for Terrarium TV app. When you will click on the app, it will show your option “Install”. As soon as you click “Install”, the app will start uploading on your FireStick. In the Apps2Fire app click on Local Apps menu and search for Terrarium TV. Click on the app, follow the prompt to Install. Congratulations! You have successfully installed the Terrarium TV app on Fire Stick using Apps2Fire. We sincerely hope that this article helped you get Terrarium TV installed quickly and easily onto an Amazon Firestick. This MTM tutorial has presented three different, simple methods for installing Terrarium TV on Fire Stick. If you happen to encounter difficulty with any of the processes above, please don’t hesitate to reach out in the comments section. We’d be happy to provide a solution to any issues you may face. 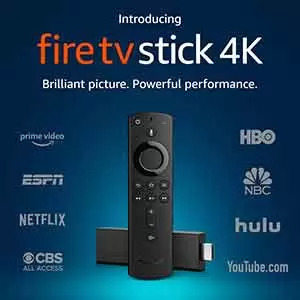 This is not your only option for free streaming movies and TV shows online with your Fire TV Stick. There are a lot of great Firestick apps to access free streaming movies and TV shows safely online when using the IPVanish VPN app. One of the most popular, Kodi (formerly XBMC), when enhanced with add-ons, offers many of the same features as Terrarium TV. We have several related articles on Kodi and how to access free movies, TV shows, and even free live streaming sports broadcasts with some of the best working Kodi addons available.